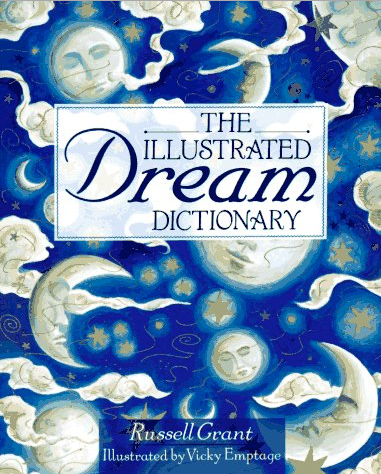 Dream Interpretation – Genuine meanings or deceitful fraud? Ever since I was a little girl, I would run to my grandma after I had any sort of dream, whether it be good or bad, and have her read the meaning of it to me from her old dream dictionary. Throughout my life I’ve sort of accepted everything that I read in this “magic book” to be completely true. If I dreamt of fire, that meant that some sort of destruction or anger was brewing in my life. The time that I dreamt about living in a castle, the book assured me that meant that I was destined to a position of power, wealth, and prestige. What was even more strange was that these dreams and what the dictionary defined as their meaning came at the strangest, most non-coincidental times. Once, I kept having dreams about being an acrobat in a circus. They kept coming back over and over again and when I finally looked up what acrobats symbolized, the dream dictionary told me that it meant that I needed to better balance aspects of my life. It also meant that fears prevented you from achieving your goals. During this time of my life, I was extremely stressed out and dealing with school and family problems. This got me thinking; can it be true that the things that we dream have a meaning that predict and describe the events that are going on in our lives? I became extremely skeptical about whether or not a book could actually tell me what my dreams meant. Even early civilizations of Greeks and Romans believed that dreams were special, going as far as to say that they were the medium between humans and the gods. They even believed that dreams could predict the future (dreams.co.uk). Although there isn’t a 100% correct answer to this question, many theories have been proposed that correlate dreams and symbolism. Two psychriatrists at Harvard University, Robert McMarley and John Allan Hobson, proposed that dreams don’t actually mean anything, and that they are merely brain impulses that pull random thoughts and images from our memories. They state that the only reason we remember some of what we dreamed of is because our brain is trying to make sense of it all after we wake up. Professional Dream Analyst and author, Lauri Quinn Loewenberg. disagrees. Loewenberg says: ‘It’s easier to dismiss something as nonsense when you don’t understand it than it is to try and figure it out” (thedreamzone.com). She explains that dreaming is a continuation of your thoughts from the day, turning them into symbols and pictures that describe the feelings and emotions that you had felt that day. For example, if you got fired from your job you might dream of a storm, but if you got a bonus on your salary soft clouds or a rainbow is likely to appear in your sleep. When it comes down to it, though, you really need to pay attention to credibility when reading about theories and opinions because neither of these things have been proven. With that being said, I would much rather trust the opinion of professors at Harvard University than a woman on the Internet who’s entire income comes from “analyzing dreams”. It’s just like psychics; we go to them because they claim that they can tell us our future, but we have no way of knowing or proving that they actually do. I found an interesting article, which you can read here, about one of America’s top psychics being a self-proclaimed fraud. Although the idea of our dreams predicting our future or giving us some sort of message is incredibly enticing, it is most likely untrue, or at least hasn’t been proven yet. Still, though, I don’t think I’m going to be getting rid of my dream dictionary just yet. Sometimes it’s fun to believe that a book can tell you what that cool dream you had last night really means. This entry was posted in Uncategorized on September 4, 2016 by Kateryna Okhrimchuk. I love the topic of dreams! In my psych class in high school we talked about some of the theories behind dreaming. The main theories I learned about were psychoanalytical (Freud), bio-physiological, and cognitive. I personally believe that all of these theories are true, and that we can have some cognitive dreams, some psychoanalytic dreams, some bio-physiological dream, or a combination of them in one dream. It’s funny that I’m so interested in dreams, considering I hardly even remember mine. This article talks about why certain people can’t remember their dreams. I found this to be so interesting because I am always fascinated about the dreams I have. Sometimes my dreams resemble real life things and I wake up being confused because I am not sure if what I saw was real life or not. I think this is really interesting because this happens to me a lot. I’m wondering how dreams can trick our mind into thinking a real event happened or portraying an event that was so life like that I am confused about whether or not it happened. I also have dreams that resemble real life events that have happened in the past and they can sometimes play out into future events. I am really curious about what theory about dreams my experience plays into. I personally don’t believe that it is a random occurrence, but I definitely believe that things come from our memories because I have seen memories of mine in my dreams. I also don’t believe in interpreting my dreams. I think the ideas behind dream interpretation are cool, but I don’t believe them to be true. I loves this post because I too, love interpreting my dreams. I think it’s fun and it makes us feel like their more important than they truly are. But, after many years and reading this about the Harvard professors study, I have to believe that dreams are just random impulses that your brain sends off when we’re asleep because even when the body is at rest, the brain is not. Before I actually comment on your blog, I want to first confess something about myself that you’ll find either really weird or relatable since it might have happened to you before, too. Okay, ready? Are you ever in a casual conversation or situation and then pause and think to yourself, “I knew that was going to happen! I saw it a couple months ago!” Supposedly, these are called premonitions, and according to an article I read (down below), they are forewarnings of the future. Now, the article also goes into detail about how spirits have the ability to contact you and send messages; I definitely can’t relate to that. But I have definitely known that certain situations were going to occur before they actually did, almost as if I had dreamt about it beforehand. Anyways, now that I finished weirding you out, I have a couple questions about dreaming that might interest you. Do you ever wonder why some dreams you vaguely remember, but others you can’t seem to forget? What makes some dreams more pertinent to your life that you remember certain ones over the others? And since you mentioned nightmares in your blog, is there a correlation between stress and nightmares (like there was between stupidity and worms that we spoke about in class)? When I was younger, I too would have dreams that usually meant something in my real life. I find it so interesting how sometimes your dreams can ‘predict’ what is going to happen in your life. In my psychology class my junior year of high school, we spent a lot of time on analyzing dreams and I found it very interesting. Have you ever heard of the theory of lucid dreaming? Lucid dreaming allows you to be in control of what you are dreaming. Here is a link if you want to learn more about it!